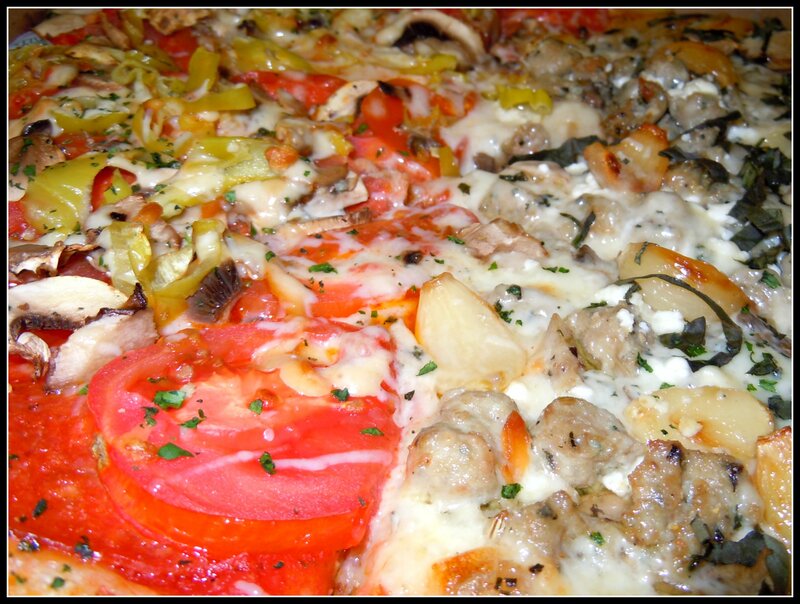 Pizzicato Pizza | What's To Eat Today? Friday nights are made for pizza. And beer. This gem came from Pizzicato. It’s a half Pepperoni Supreme (pepperoni, smoked mozzarella, mushrooms, tomatoes and pepperoncini) and half Quattro Formaggi (chevre, fontina, gorgonzola, mozzarella, parmesan and roasted garlic on a garlic/olive oil base) and we added sausage and mushroom. All washed down with a Stella Artois.